In one of the busiest weeks of the legislative session, hundreds of bills passed out of their original chamber and now await action on the other side of the rotunda. The deadlines set by the leaders in each chamber provide for a flurry of activity as legislators try to keep their legislation moving through the process. Earlier in the week, the Alliance sent out a call to action on three bills, SB 3418, HB 4789, and HB 5572. Thanks to your efforts on these three important issues, two of the three bills (HB 5572 and HB 4789) were called for a vote and were defeated by wide margins. While SB 3418 was not called for a vote, it is important to keep working the bills as deadlines could be extended to allow for extra time for passage. With just under five weeks left until the May 31st adjournment deadline, there does not seem to be significant movement on a budget. Adding to the pressure of the pending deadline, the Illinois House of Representatives is not scheduled to be in session next week. The Senate will return to Springfield Tuesday, May 1. Click here to read the complete Alliance Legislative Report 100-65, including the full bill action this week and bills scheduled for committee next week. On Friday, April 27 from 8 – 9 p.m. PRESS, PRESS Plus, and manuals published with School Board Policies Online will be unavailable while the system undergoes maintenance updates. IASB apologizes for any inconvenience this may cause to members and users of these services. For additional information or questions please contact Brian Zumpf by email at bzumpf@iasb.com. IASB will continue its free online learning opportunities for Association members with two new webinars scheduled for early May. The first, “Democracy IS Conflict: Is yours Productive or Unproductive,” will take place at noon on Tuesday, May 3. Larry Dirks, an IASB field services director, will take a unique look at the issue of board conflict. Beginning with the concept that all school boards will at some point experience conflict, Dirks will explain how the values of board members influence discussions and decisions, and how those same values can contribute to productive and unproductive conflict on the school board. Staying with the democracy theme, the governmental relations department will present “How to Write an Effective IASB Resolution – Take Action to Make Change” at noon on Monday, May 7. The webinar, led by Governmental Relations Directors Deanna Sullivan and Zach Messersmith, will dive into the IASB resolutions process and explain how board members can shape public school policy at the state and national levels. The IASB Lunch and Learn webinar series has proved successful since its launch, with nearly 800 school officials taking advantage of the professional development opportunities. Registration is available through IASB's Online Learning Center. Visit the IASB website, and select the yellow "My Account" button to log in, then choose the Online Learning tab at the top of the page. An archived version of the webinar will become available 24 to 48 hours after the live event. LIMITS AND VOTER DRIVEN "SHARED SUPERINTENDENTS"
There are three initiatives pending before the Illinois House and Senate that need input from school management. Please take a few minutes to respond and share the possible impact on local schools districts if these bills would become law. 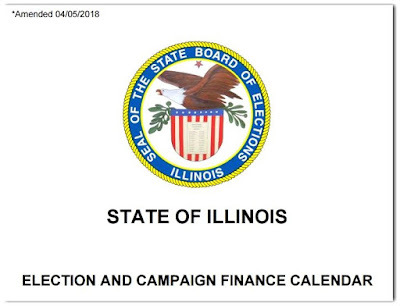 HB 5572 (Ives, R-Wheaton) is designed to prohibit a school district from refinancing debt past the repayment period of the original issue, issuing bonds beyond the time period established when the debt was issued, and incurring any kind of debt in excess of 13.8% (units) or 6.9% (duals) of the district's 2017 equalized assessed valuation (EAV) or the district's maximum amount of debt on the effective date of this Act, whichever is greater. Includes interest (which is not "borrowed money") and alternate revenue bonds in a school district's debt limit, both of which are currently exempted from the debt limit. No other state in the country considers interest to be part of debt. Includes interest in a school district's debt limit calculation which would automatically push many districts over their debt limit. Severely restricts a school district's ability to restructure debt to respond to current economic climates and provide debt relief to taxpayers at times when tax rates are too high for communities to sustain. Please contact your State Representative and urge a NO VOTE on HB 5572. Establishes 2018-19 baselines for the two new administrative categories based on 2001 census increased by CPI and the 2015 census increased by CPI, respectively. This proposal will hurt smaller districts and those with flat or declining enrollment. Even if those districts are able to reduce administrative expenditures, they will find it difficult, if not impossible, to keep per pupil costs below CPI. Holding districts to 2001 and 2015 cost baselines is simply unfair. It's retroactive punishment without any knowledge or ability to comply. Please contact your State Representative and urge a NO VOTE on HB 4789. SB 3418 (Rezin, R-Peru) sets limitations for school districts entering into joint agreements to share the services of a superintendent. The bill also creates a referendum process to attempt to force school districts into joint agreements to share administrative services. With legislation pending to limit school administrative costs (HB 4789), this measure could place school districts in the dangerous position of being required to share administrative services, but limited in their ability to adequately compensate staff for additional duties. Please contact your State Senator and urge a NO VOTE on SB 3418. Consider using these links to register your positions. Be sure to make your response reflect facts about your school district. Click on the link, enter your zip code or address and follow the prompts. Our Illinois Principals Association partner provided these links for our use. in accepting the award at NSBA's conference April 7. Three Illinois school districts are among the 42 district winners of a national award for technology use that recognizes school boards for innovating by investing in tech tools and learning models for the next generation. 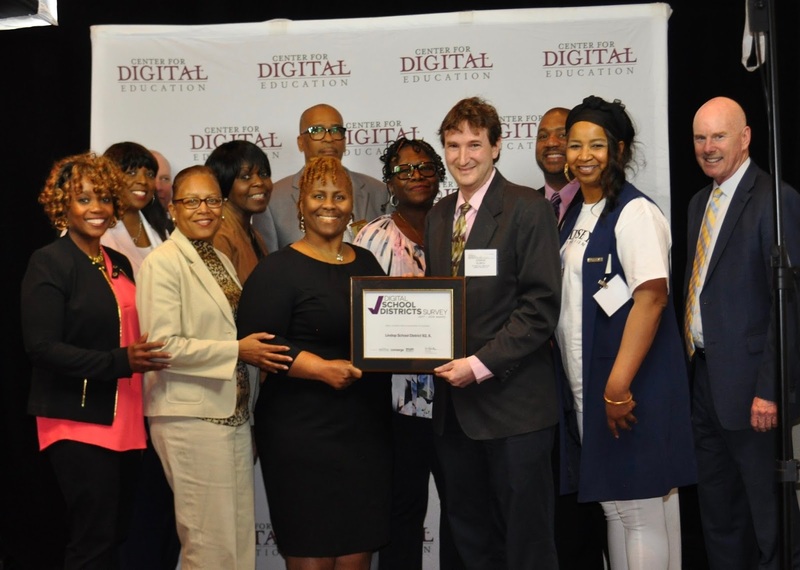 The largest Illinois winner in the Center for Digital Education’s and National School Boards Association’s annual technology awards is Township High School District 214 (Arlington Heights). The district was one of just 14 large districts (12,000 students or more) to win the 2018 award. Two other Illinois districts are among 14 small district winners (3,000 students or less): Lindop School District 92 (Broadview), and Mannheim School District 83 (Franklin Park). Board members at THSD 214, a high school district with more than 12,000 students in grades 9-12 in the Arlington Heights area, earned praise for demonstrating continuing commitment to promulgating the best use of school technology, using approaches that have won awards in the national competition for nine consecutive years. The Lindop school board, governing a P-8 district with more than 400 students, was recognized for providing iPads for all students in grades 2 through 5, and providing Chromebooks for all students in grades 6 through 8. The board also won praise for approving a STEM and robotics program where students develop their knowledge and capacity to become next-generation engineers. District 92 is one of just two districts enrolling 3,000 students or less to win the award the past six years in a row. Mannheim D83 received the small-district award, as well, winning for the first time; the district was honored for its 1 to 1 program that provides digital learning devices to all students. The program has been enthusiastically supported by the school board, which also has provided infrastructure to guide and monitor student use of technology. Students in District 83 have been learning to write digital code on their devices, and sharing their tech savvy with parents at a yearly community learning night at school. “School boards are embracing technology initiatives that help them govern more effectively and empower their districts to operate more efficiently,” said Thomas J. Gentzel, executive director and chief executive officer for the National School Boards Association. The Center for Digital Education bestows this annual award to the school boards/districts that most fully implement technology benchmarks in the evolution of digital education, as represented in survey questions. All U.S. public school districts are eligible to participate. School districts’ use of technologies such as digital literacy training for parents, student-run technology support centers, robotic systems that record classroom teaching and learning, and data analytics earned top rankings in the survey. View the full list of school districts honored here. exercise during the Teacher Leadership Lab in Effingham. Photo by Keith Stewart, courtesy Effingham Daily News. Effingham Community Unit School District 40 believes that teacher leadership and input regarding the learning process can significantly foster student achievement. The district’s model was one of three selected to be shared with other schools as part of a national Teacher Leadership Lab. The program consists of five pillars: control, empower, collaboration, application, and celebration. A key cornerstone for the district is the level of collaboration that occurs with teachers and students. Teachers periodically meet to discuss learning outcomes and objectives, and cooperative learning projects are designed to teach students problem-solving skills, teamwork, technological skills, and real-world applications. Melody Arabo of the U.S. Department of Education believes the district’s model holds promise regarding curriculum and instruction. More than 180 educators, administrators, and other stakeholders attended the Leadership Lab on April 12 hosted by the Effingham district. Presentations included teachers showcasing various student team projects, for example, designing a moon colony and what supplies will be needed to survive for a year. Students were also in attendance to discuss how the method has impacted their learning. In a keynote presentation, consultant and author George Couros noted the importance of teaching students to be innovative so they can impact the world in meaningful ways. A key theme of his keynote was based on the concept of being willing to fail in order to properly learn. Effingham CUSD 40’s program received national recognition last year at the Teacher Leadership Summit, a multistate regional conference of Teach to Lead where more than 300 schools applied to attend, but just 30 were chosen to present their ideas. The district was then one of three finalists selected to present a day-long leadership lab. Teach to Lead is a partnership of the U.S. Department of Education and the Association for Supervision and Curriculum Development. Their work is based in a belief that teachers are experts in schools and instruction, and as such, should be supported to lead the key changes and innovations that their students, colleagues, and profession deserve to do their best work every day. As the legislature worked steadily this week in the Capitol through the hundreds of superfluous bills and issues that lay before it, attention was being paid to some of the significant matters regarding public education. Both the House of Representatives and the Senate worked through the week, with both chambers returning next week to meet Monday through Friday. Next Friday, April 27, is the deadline to have substantive bills considered on the floor of their respective chambers. An Alliance initiative addressing the problem of school districts being penalized for the under levy of property taxes under the Property Tax Extension Limitation Law (PTELL), HB 4958 (McDermed, R-Frankfort), was discussed in a House Revenue subcommittee. Though no vote was taken, it was a step in educating legislators about the issue. Two board members from Naperville CUSD 203 testified on behalf of the Alliance. To keep up with the latest on legislative issues, please refer to past Alliance Legislative Reports and our library of legislative videos. Click here to read the complete Alliance Legislative Report 100-64, including more on legislative response to the teacher shortage, school safety, student data privacy, and mandates. Also read the bill and committee action from the past week and look ahead to bills scheduled for committee next week. School districts are anticipating a repeat of the March 14 walkouts in response to the school shooting in Parkland, Florida. The next walkout is scheduled for April 20, the anniversary of the 1999 Columbine school shooting. Although the recent “March for our Lives” walkout was scheduled for 17 minutes, in memory of each of the 17 victims of the Parkland shooting, the “National School Walkout” on April 20 will start at 10 a.m. local time and reportedly will last the entire day. It is unclear how many Illinois school districts will see walkouts on April 20, although the National Student Walkout website offers signups in several areas, including Chicago and suburbs, Champaign-Urbana, Rockford, Bloomington-Normal, and Peoria. In March, school districts made determinations on handling student protests on the local level. Responses to the March for Our Lives varied in Illinois, including prohibiting walkouts, holding discussion assemblies at the scheduled protest time, and working with students to ensure safe and respectful protests. More information on managing these events can be found on the IASB Blog, from the National School Boards Association, and on the Illinois State Board of Education website. referendum on the November 6, 2018 ballot is August 20, 2018. 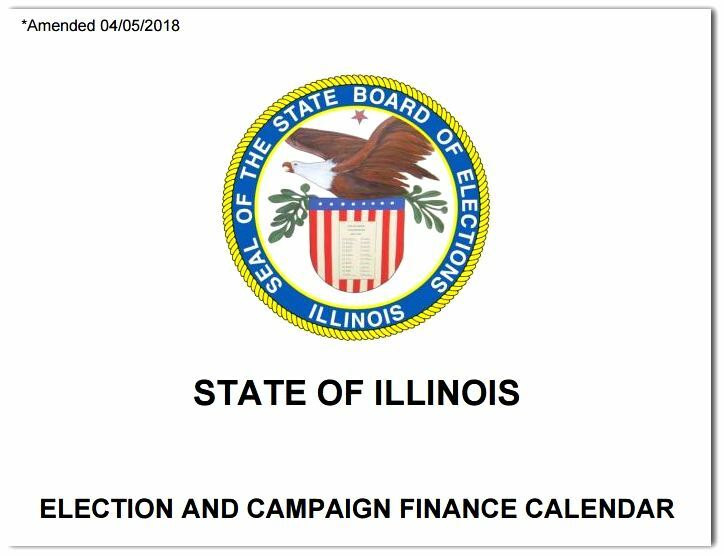 It is not too early for districts to look into placing school finance referendums on the ballot for the next regularly scheduled election, to be held on November 6, 2018. School leaders in Hawthorn Elementary District 73, for example, say they are considering placing a referendum on the November ballot that would increase property taxes to ease growing financial pressures resulting from increasing enrollment. School leaders of District 73 are currently gauging public support through a series of community engagement meetings scheduled this month to discuss the squeeze from the district’s enrollment boom. School leaders still have time to study their options on all such questions, as the deadline for school boards to certify a public policy question for the November 2018 election is August 20, 2018. In the most recent elections, held March 20, 2018, voters approved two of four county school facilities sales tax proposals, 10 of 14 building bond issues, and two of four tax rate proposals. Additional historic data on school finance referenda results is available online.